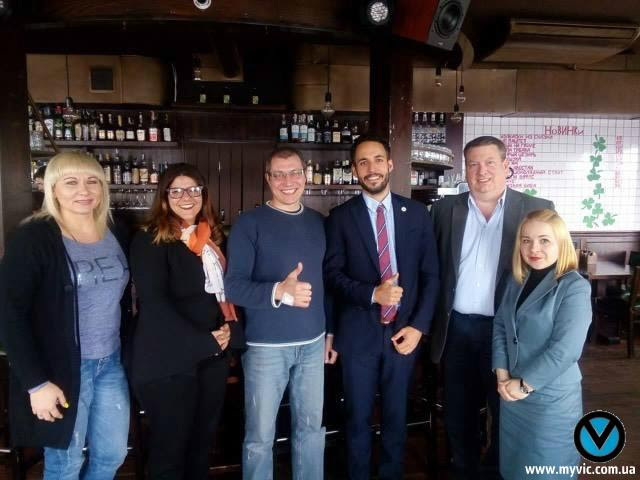 The meeting took place in Mykolaiv between the mayor of the city and the activists, the head of the Democratic Alliance party, the Department of Housing and Utilities deputy, the director and the producer of Academic Channel – Gleb Golovchenko, Denis Barashkovskiy. The aim of the meeting was the corruption investigation, covering the issues of transport mafia and information sphere. The city restruction strategy was also taken into consideration. Moreover, the participants analized all the work being done throughout the previous year. Our company representative Anna carried out a professional and high-quality consecutive interpreting of the meeting. We thank everybody for the meeting and for such an enjoyable communication!